Spring in Japan is well-known for its Cherry Blossoms, which symbolizes new beginnings, and a perfect time to travel the country. The beauty of the Sakura usually only lasts about a week: such glorious transience is cherished by the Japanese. On this trip, the wonder of the places you visit will be doubled with the sight of Sakura Cherry Blossoms, making a precious combination of long-cherished historical buildings and short-lived Sakura pedals. Yearly, this one week makes a lasting influence on the Japanese way of thinking and culture. Our tour is catered to first-time visitors of Nara. Escape the tourist crowds but experience the rich history of stunning must-see locations and culturally rich activities such as the traditional Tea Ceremony and Zen Meditation in ancient temples with monks. We can also arrange exclusive optional programs such as Japanese Confectionary Making, appreciating Japanese Swords and delicious Sake tasting tours. Enjoy a day to explore infamous Kyoto as well. After lunch, at Jokoin Zen Temple, learn from a Japanese green tea master how to participate in a traditional Tea Ceremony, then have the honor of making the tea yourself! The ceremony is not only about drinking tea; it is well known for self-discipline and subtle beauty in the process that shares appreciation to those you are serving. Feel this ""Beauty of Wabi"" in your heart through this experience. The stunning Japanese garden arranged especially for the tea ceremony participants is also unforgettable. In the evening, enjoy some free time exploring Nara City. Early morning, enjoy fresh air and comfortable silence in the famous Nara Park. Then, be ready to meet and be greeted by hundreds of free rein deer! 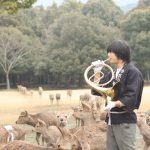 A local deer keeper plays his French horn to summon them to be fed at a special ""Deer Gathering"" performance. 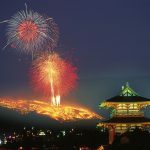 Explore the temples and shrines around Nara Park: visit Kohfukuji Temple and its five-story pagoda, a major landmark of Nara City. Then Kasuga Taisha Shrine, famous for its vermillion bright red and white buildings with lanterns. 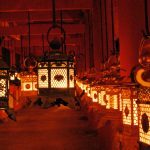 Nara is said to be the last stop of the famous Silk Road; experience the ancient history and influence of oriental cultures in these surroundings! Today you will visit Kyoto, but the schedule and where you go is entirely up to you! Want to walk through thousands of vermillion Torii gates at the Fushimi Inari shrine? Have your camera ready! 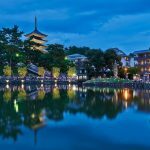 How about visiting the Gion area? You may have the chance to encounter real Geishas. Interested in the beauty of Kimonos? We offer a Kimono weaving demonstration in Nishijin area, home to Kyoto’s textile industry. At night, you can choose your favorite city to stay at; will it be Nara? Osaka? Kyoto? Tell us so you can enjoy it even more on your last night. We will drive you back to Kansai International Airport. If you still have time before your flight, there are many souvenir shops and local food restaurants you can enjoy there. Your bellies, suitcases, and hearts are sure to be full after this culture-rich tour!